Raise your hand if a pile of discarded clothes keeps you from sitting on that chair in the corner of your bedroom? Or if a stack of books has taken up residence on the floor beside your dresser? Raises hand. We know from experience that bedroom clutter seemingly accumulates faster than you can stow it away (resulting in the aforementioned disarray), but with the right organisational tools, it is possible to take your space from cluttered-and-chaotic to neat-and-orderly. So, in our own search for ways to tidy up this tricky space once and for all, we turned to some of our favourite interior designers for their tried-and-true storage solutions—and, if we're being perfectly honest, the clutter-clearing ideas we found were completely game-changing. From affordable, wall-mounted shelving to splurge-worthy statement furniture, these storage solutions will whip any space (no matter how small) into shape. Scroll on for seven bedroom storage ideas that'll pick up your closet's slack. If you’re lacking ample bedside storage, take style notes from designer Sarah Sherman Samuel and tuck a basket underneath your nightstand. 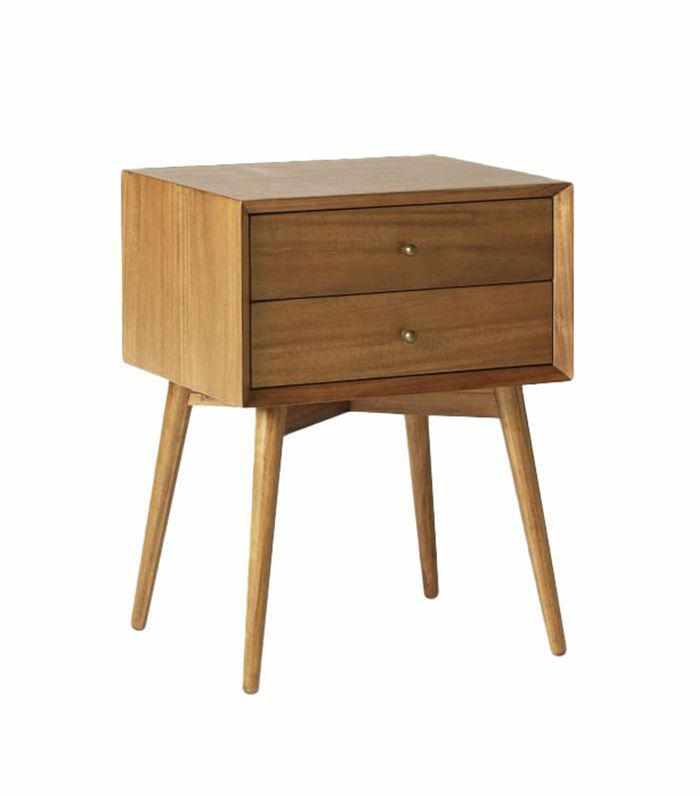 Not only will you gain a much-needed clutter catchall (especially if your side table doesn’t have drawers), but you’ll also add visual interest to your space. Choose a natural textile, like the seagrass basket pictured above, for a trendy take on this easy bedroom storage solution. While draping a blanket over the end of your bed can look effortlessly cool, too many layers can have the opposite effect. Rather than banishing your extra linens to the back of a dark closet, stow them in plain sight with an organisational ladder. This genius bedroom storage idea, courtesy of stylist Bradley Tolbert, keeps throws within arm’s reach when the weather is chilly and puts them on display when the temps are high. 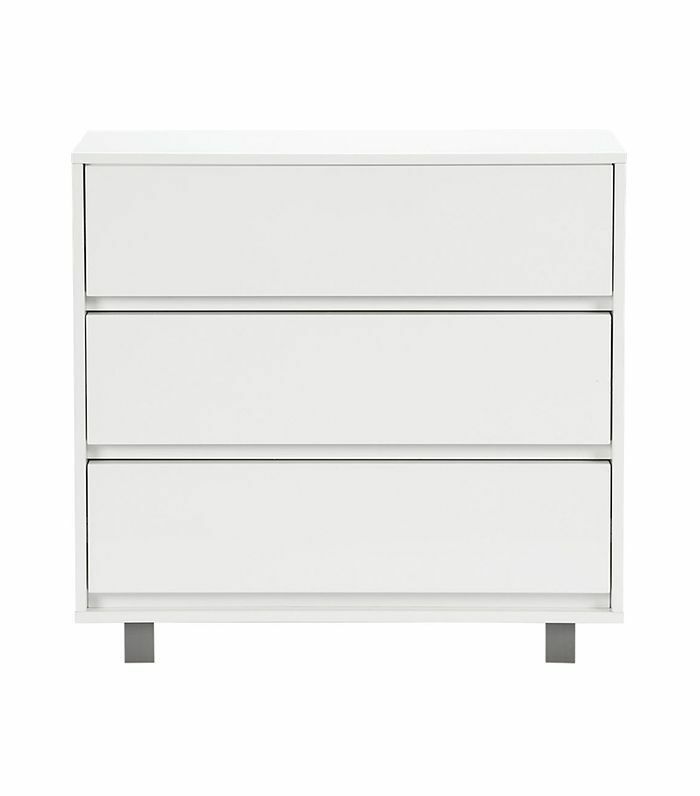 Placing a nightstand on each side of your bed is a foolproof way to increase your bedroom’s storage space. If your square footage is limited, opt for smaller bedside tables and consider installing wall-mounted light fixtures. Lamps can take up a considerable amount of tabletop real estate, so wall-affixed lighting can help make room for a great-smelling candle, a potted plant, and nighttime reading material. Short on closet space? Don’t settle for a run-of-the-mill piece of furniture. After all, it will be prominently displayed in your bedroom. 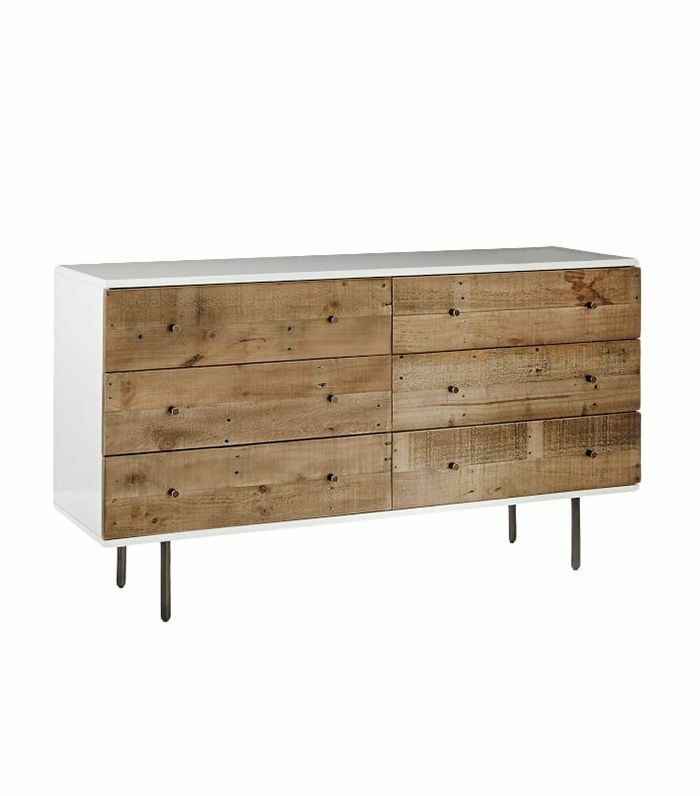 Shop around for a statement dresser that’s just as stylish as it is functional. Earn extra style points by crafting a tabletop vignette featuring a framed art print, a few stacks of color-coordinated books, and a vase filled with fresh flowers. While we love a well-curated dresser vignette, sometimes there’s just not enough surface area to go around. After all, there’s a fine line between a stylish stack of books and a precarious pile that looks as though it could topple over at any moment. Pay close attention to the design of your bedroom when renovating, and add a built-in nook or shelving unit if possible. If you’re a renter having trouble tracking down a shelving unit for an oddly shaped space, consider splurging on a custom-built piece. It’ll be money well spent to achieve organisational bliss. Don’t have space for a lot of furniture in your bedroom? Let this minimalistic room inspire you to make the most of the pieces that you can squeeze into your small space. Here, a dresser effortlessly doubles as a bedside table, providing ample storage space for clothing and plenty of available surface area for decorative items like greenery and family photograph that infuse the space with personality. In a small bedroom, every square foot counts. Rather than opting for a traditional nightstand, free up precious floor space by hanging a shelving unit next to your bed instead. Curate a vignette with a beloved art print on the top shelf, and reserve the lower shelves for oft-used items like your glasses so they’re easily accessible. If you're a nightly reader (or Netflix binger), place a small acrylic bedside table in the space below to keep your current novels (or your laptop) within arm’s reach. Want more interior tips? Follow us on Facebook.